We have 2 amazing HOME Workshops this week that you definitely won't want to miss out on. Tuesday- May 22. Copyright vs. Trademark- with Colin Maher of Whiskey Ghost Entertainment, LLC & Wednesday- May 23. Organizing Your Music Catalogue- with Michelle Pereira of Songster Catalogue. We also have in-home mentoring hours with HOME Mentors Femke Weidema & Brian Bauer. For more information on how to attend all of these Home Happenings and to make the most of your membership, be sure to read on down below. Bring your musical instrument(s) of choice and get creative as you vibe with other members of the community on the live event stage here at HOME. Don't have gear of your own to bring along? No worries! We've got a setup for you to jam on! BYOB and come on out for some friendly competition and networking. It's going down every Monday from 5-7pm. 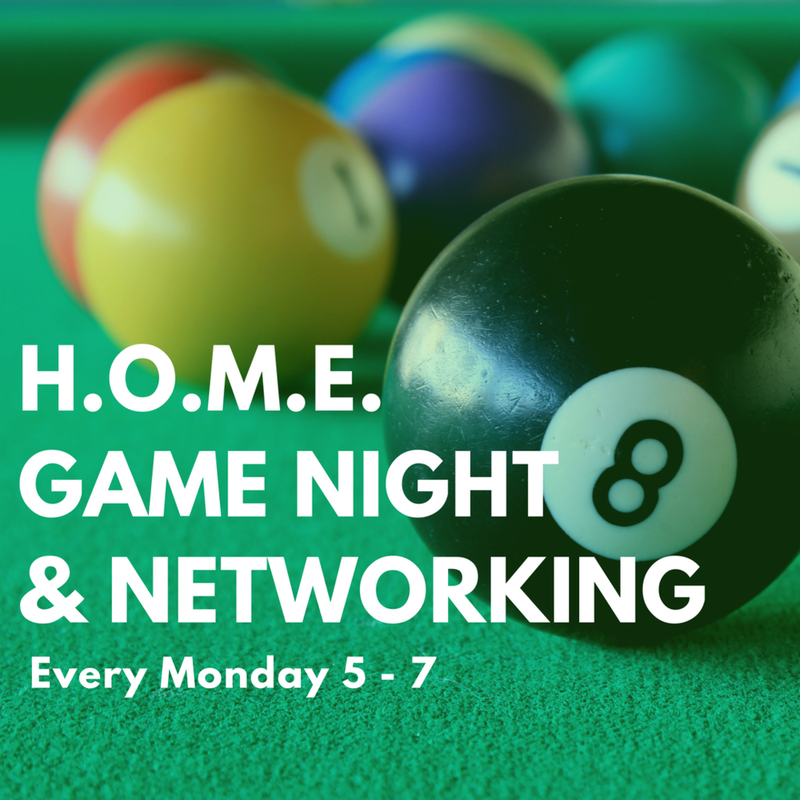 Billiards, ping pong, shuffle board, darts, giant Jenga, board games, and more! All Homies and their guests are welcome. 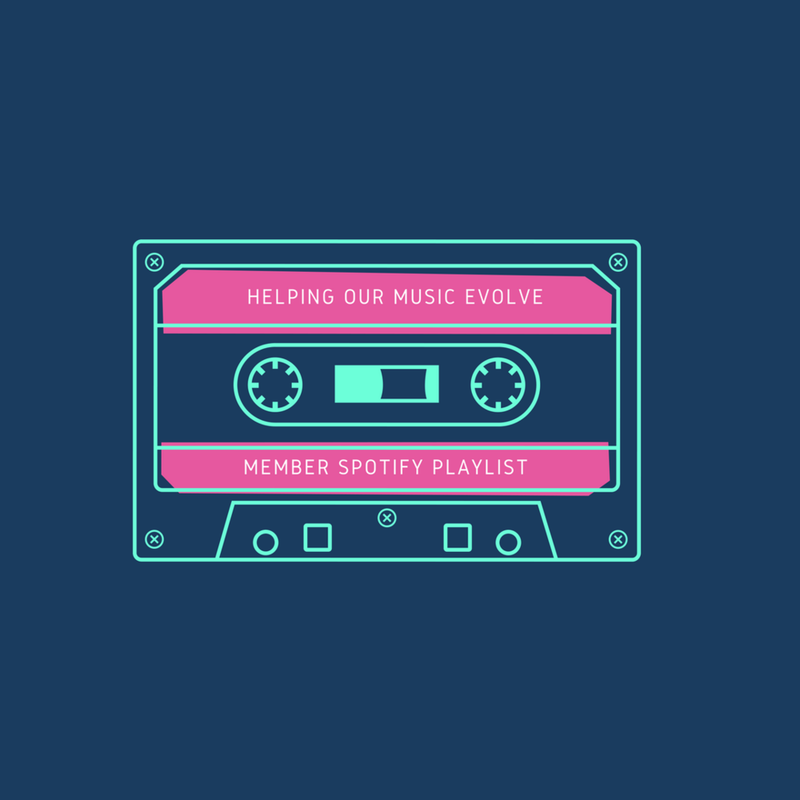 We're setting up a Spotify playlist that will feature new music from our HOME Members. If you have music on Spotify, let us know and we'll add it to our playlist. TUNESDAY playlist to begin in JUNE! We want to know more about all of you, your music, your work, your company, current projects etc. If you'd like to be a featured HOMIE, please click the link below to let us know and we'll contact you soon for an interview. HOME Spotlight series to begin in JUNE! In-Home Mentoring Hours, 4-6 on Tuesday, May 22th. 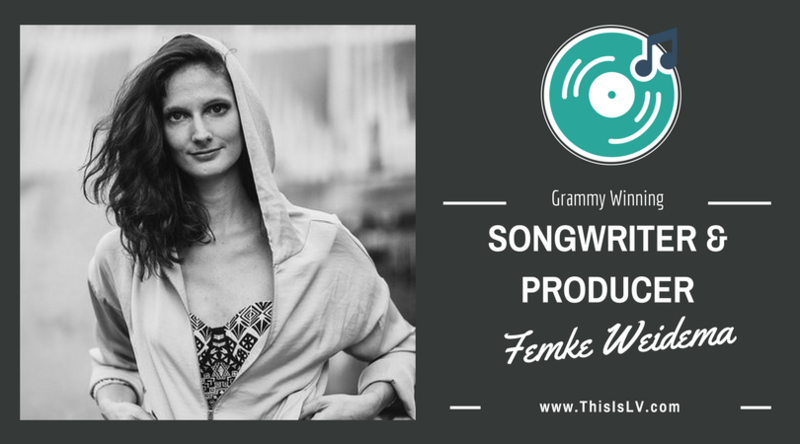 Femke is a Grammy-winning songwriter and producer. Her productions are swiftly gaining international attention, and her label LV Music is creating a global hub in Nashville; working with artists from Thailand, China, Canada, the UK, Germany and Scotland. Femke has a writing and recording studio at Liz Rose Music, a publisher in Nashville whom she works with closely for all her country material. Mentoring appointments are included with our Community & Pro Memberships. For more information on HOME check out HelpingMusic.org. Organizing Your Music Catalogue: Why is it important and how to do it properly? Songster Catalogue is a helpful tool designed by singer/songwriter, Michelle Pereira, for songwriters, musicians, producers and all music creators, who need a little help organizing their personal musical catalogue. In this workshop, Michelle will go through the reasons it's important to have your catalogue organized and accessible with the information needed to help you succeed. Whether you are looking to get your songs placed in film, tv, or commercials, or if your goals involve getting a publishing or record deal, it always a good idea to make sure you come off as professional and responsible. Michelle Pereira is a singer/songwriter originally from Toronto, Canada but has been living in Nashville, TN for the past 2 and half years living out her dreams day by day. In a town that praises co-writing, Michelle grew her music catalogue to the point where it became a bit overwhelming to keep track of, especially when she started taking meetings with publishers. After finally finding a system that worked well for getting her music catalogue organized, she decided to make a little business out of it. Thus was the beginning of Songster Catalogue, and the start of helping other music makers get just as organized as her. For more information and a special HOME discount, click the link below! If you purchase Songster Catalogue before the workshop, you will be able to participate along with the demonstration. However, the purchase is not necissary to still learn from the workshop. Download & follow Songster Catalogue on: Etsy: https://etsy.me/2jnbrSF Instagram: https://bit.ly/2jjMRSr Facebook: https://bit.ly/2I5A7gb This Workshop is FREE to HOME Community & PRO Members $5 for HOME Online Members and $10 for Non-Members. Copyright vs. Trademark: What is the different and why do you want them? Colin Maher will be conducting this seminar to help teach music industry folks the difference between trademarks and copyrights. This will include what each of them protects, why you would want to register your trademarks/copyrights, and a couple of real-life stories from the music industry about both. This Workshop is FREE to HOME Community & PRO Members $5 for HOME Online Members and $10 for Non-Members.